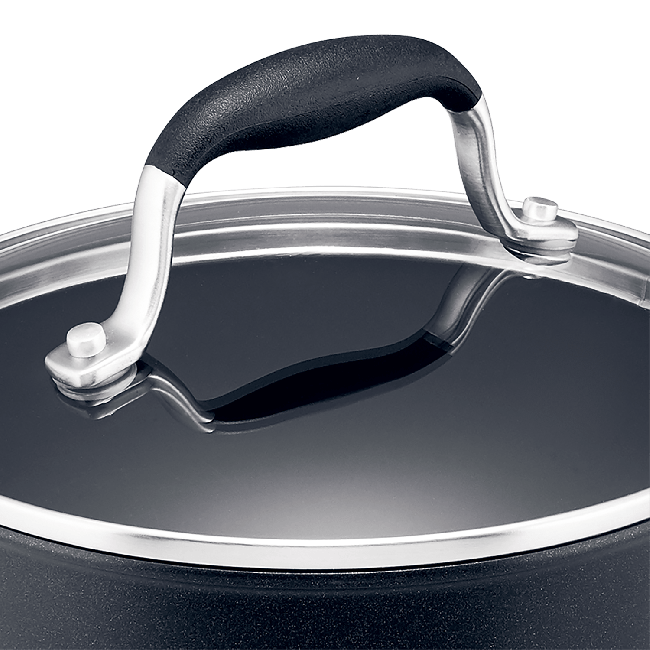 The Anolon Advanced+ 28cm/ 5.7L Covered Casserole is a sophisticated and professional option for the discerning home chef looking for superior quality and performance, backed by a lifetime warranty. 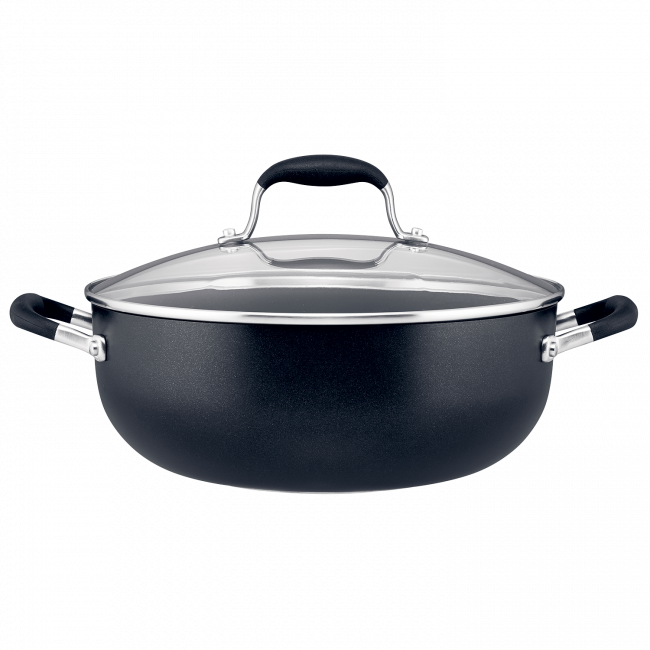 With lovely deep sides and a large 5.7 litre capacity, this pan is our go- to for saucier dishes like curries and stews. The domed glass lid allows you to monitor your food without lifting the lid and losing moisture. Supremely versatile and convenient, this pan can also be used in the oven to 200°C and put in the dishwasher for easy cleaning. 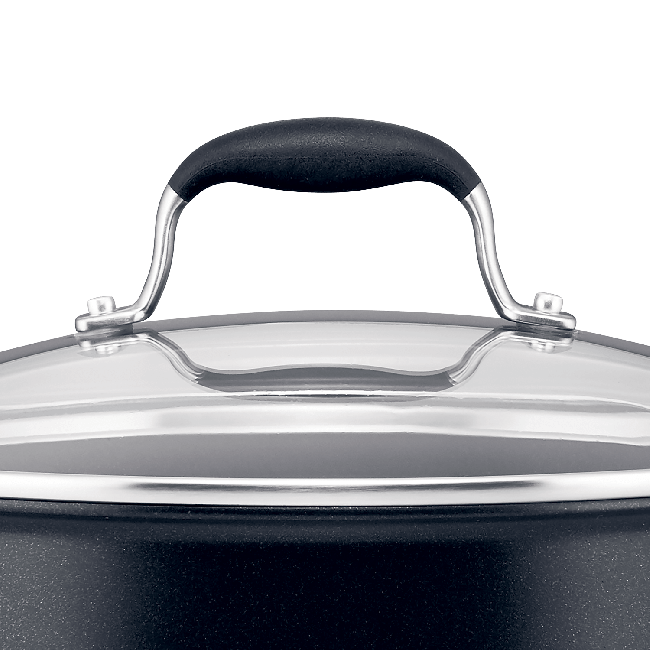 Anolon Advanced+ 28cm/5.7L Covered Casserole is rated 4.8 out of 5 by 6. Rated 4 out of 5 by Anol from Just what I needed I bought this last month and I’m very satisfied with this product ( based on use of 7-8 times ). Handling and cleaning is super easy. I recommend this product. Rated 5 out of 5 by Tun005 from Amazing non stick casserole pot I love this casserole pot, perfect size, excellent non stick. Rated 5 out of 5 by JamieH from Perfect size! This is the perfect size for my stovetop and easy to store/clean. I use it for stir fry’s, curries, pasta dishes and soups. The size and lid were the reasons I purchased this as other similar items were much too big or didn’t have a lid that could go in oven as well. So happy I purchased this! Rated 5 out of 5 by Kare from Non stick, great for browning. I lashed out several years ago at Myers for this product. I use it for casserole, stir-fry, (abandoned the wok) and to cook my dhal and curries. I have since purchased a couple of other Anolon products for my daughter who is just setting up. I believe it's better to buy one or two quality products than a lot of inferior ones. I have a roasting dish with rack and a set of three Anolon knives under the Christmas tree for our children, so I am unable to review these items as yet. Rated 5 out of 5 by Giuseppina from GREAT POT THE BEST POT I EVER COOK IN, VERSATILE IN SO MANY WAYS BEST OF ALL EASY TO CLEAN. Rated 5 out of 5 by zowie from Perfect! So far am really happy i bought this, only used once on stovetop but was lovely to use. Smooth inside, cooks food evenly, no sticking.Handles designed well, feels great.Good size without being too big.Also looks fancy.